Special Olympics Project UNIFY is an education and sports based program started by Special Olympics to build an inclusive environment among youth with and without intellectual disabilities, as well as empower them to become youth leaders and speak up or change in their community. North Carolina is currently engaging more than 200 schools, both through public and private school settings throughout the state thanks to funding from private donors and the US Department of Education. 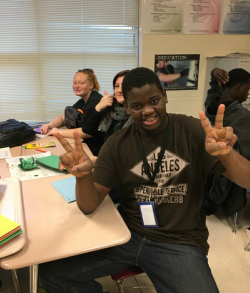 How we do this is by working with our Pre-Ks, Head Starts, elementary, middle, high schools and colleges to implement or continue the three major initiatives of Project UNIFY. 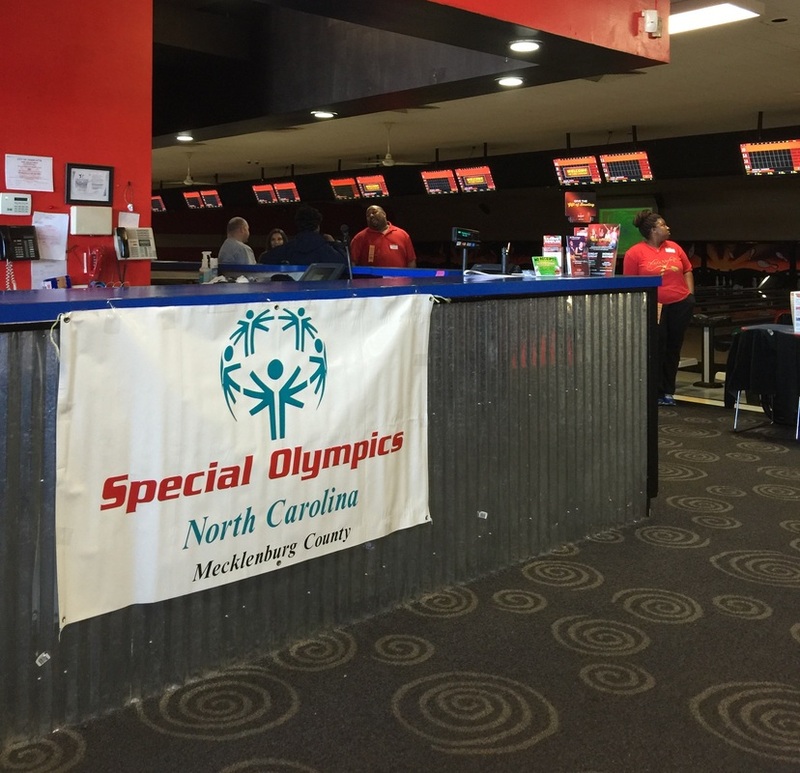 For Winter of 2016, We went bowling with our students! For the Fall of 2015, Our students participated in soccer and boccie! 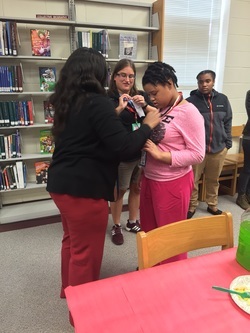 D'Asia receiving her medal for Boccie Ball! 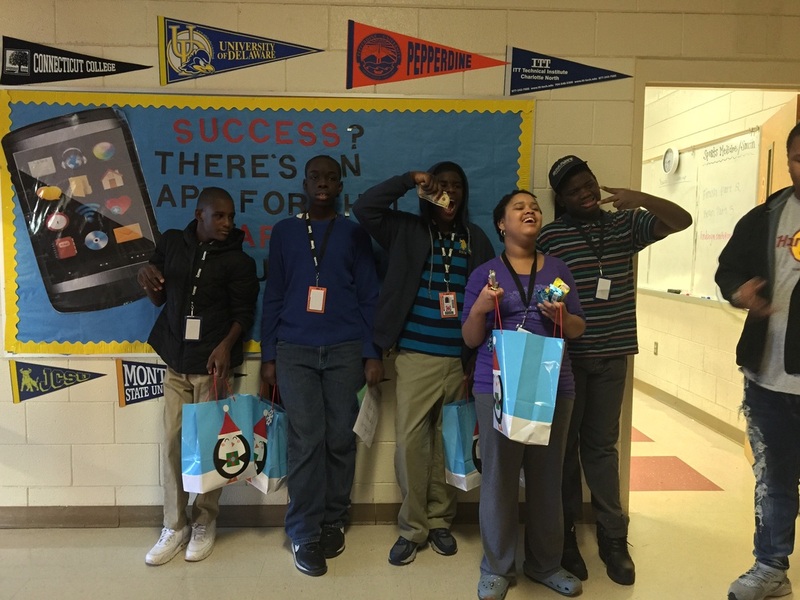 After Christmas Caroling, our students were surprised with gifts from Ms. Smith's Sports Medicine Class. 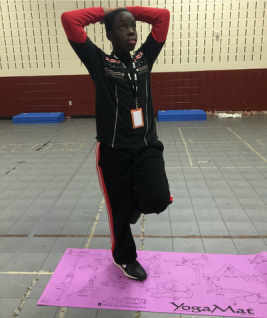 John learning Yoga from our peer buddies during class! Ki'Shawn meeting his peers in Ms. Simmon's Journalism class.